Having traveled to 108 countries on this planet, I was excited once again to be headed back to China. 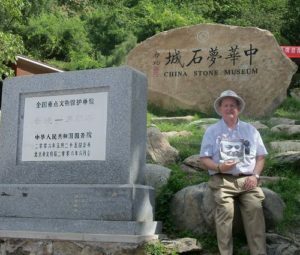 My wife, Susan, and I enjoyed visiting China once before, but this trip was special in another way. I was going to meet a Chinese-American student of mine, Alex Wang. Alex has family in China and spends much of the summer visiting with them and has played in local chess tournaments. This summer he chose to play in a FIDE event. 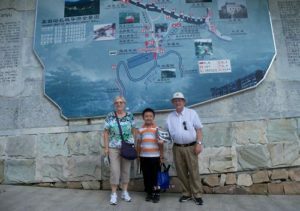 His mother, Sarah invited us to visit them in Beijing.. I have coached Alex from the age of 4, and currently at the age of 9 he is a smiling, gregarious young man who has grown up in two cultures. I have enjoyed working with him on his game, always emphasizing that chess should be a fun activity. I think he has followed that mantra. 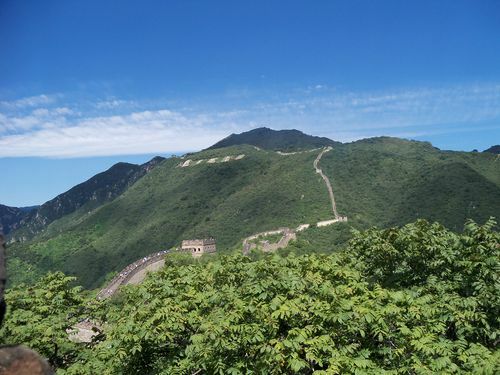 I would like to mention that when I saw the Chess Life story about the University of Texas, Dallas Chess Club visiting the Great Wall in 2008, I knew I wanted to have the same opportunity to see this Wonder of the World. We were met at the airport by Sarah and Alex. Sarah drove us to our hotel as it was late and we were going to be busy in the morning. Bright and early the next morning we traveled to the Great Wall. Looking up from the parking lot, I could see the Wall that went for miles through the mountains. 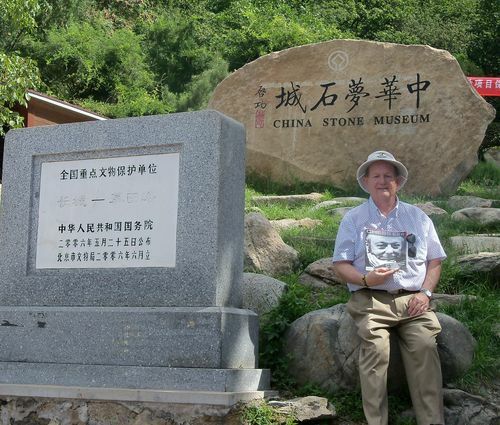 We walked up a long distance and came across the Great Wall map and then the China Stone Museum. Then, we took the Ropeway, the name given to the tram up the rest of the way. Upon arriving at the top of the hill, we stepped out of the tram on to an observation deck and walked a short distance to the entrance of the Great Wall. I had decided months ago that I wanted to honor four persons who had influenced my involvement in chess: Chess Journalist Hermann Helms, GM George Koltanowski, GM Arnold Denker and GM Arthur Bisguier. Beginning in 1943 Helms was the first of four persons to be recognized as the “Dean of American Chess”. He was followed by Koltanowski, Denker and Bisguier. I asked Dan Lucas, the editor of Chess Life if he could provide me with the Chess Life cover photos of Helms and Koltanowski. I had Denker and Bisguier covers already. Thanks to Dan, I was set to share with the world four persons who held the highest honor in US Chess. I especially wanted to remember GM Arnold Denker because his GM Denker Tournament of High School Champions just completed its thirty-third year of competition with over one thousand participants and former participants, some of whom have played multiple times in his event. Alex and I set up the chess set and positioned the four photos. A wind came up, but Alex and I held down the pages and began playing. In a few seconds a crowd began to form and watched us play. 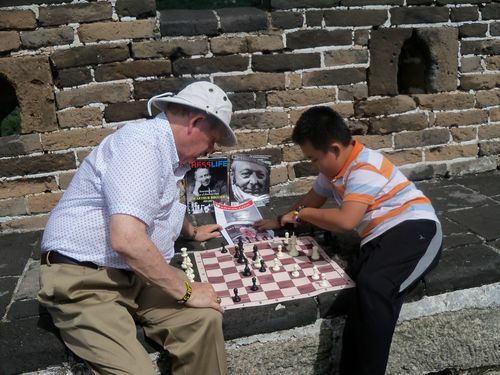 Dewain and Alex Wang playing chess on the Great Wall with four Deans of American Chess.